Winter wonderland returns with bountiful gifts! This season we're giving out more rewards with plenty of events for you all! Purchase any amount of IMPs during this time and you'll get 210% more once the payment has been completed! Purchase any amount of IMPs over or equal to 1,000 on any payment method in the time period listed above and you will get 25% more Item Mall Points! Purchase any packages during the duration of [Event 1], and the top 3 accounts who purchased the most will obtain the following prizes! Custom Apparels are back and the stock has been replenished to 35x! During this event, the prizes will be changed to a special Holiday giveaway. The system will give out prizes to all players that are online every 4 hours! Evil Santa is breaking out of Reverse Christmas Village and he is bringing an army along with other bosses to Shaitan Gates! The reindeer, snowmen and even Santa are revolting! Do you think you can change their minds before they end up ruining our holidays?! Note1: Prizes will automatically be delivered to your inventory once you have reached the required kills. Please make sure you have enough inventory space. 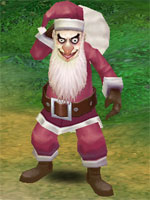 Note2: Your kill count will increase by 1 whether you kill a Snowman, Reindeer or Evil Santa. There's been a breach in Christmas Village's security! Snowman Army has invaded the Icicle Sector and plans on taking over the town! [MISSION]: Fight back against the snowman army with "Destructive Snowballs"
Here's some insider information about our enemies! 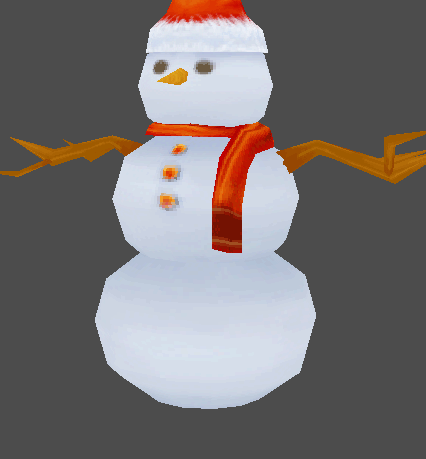 Note2: The snowman can only be damaged by the Destructive Snowballs, however you are still able to stun and seal them. Players will have a chance to get different prizes on each of the 12 days of Christmas (Dec 25th-Jan 5th). You get the prize for that day and the prizes of the days prior. 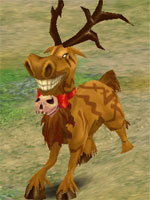 Ex: 4th Day of Christmas will obtain prizes from Day 1-4 and so on. In order to be able to get the prize for that day, you need [Candy Canes]. You can obtain [Candy Canes] by exchanging [Christmas Greeting Cards] at the Mini Christmas Trees. The prizes that you can obtain and the amount of Candy Canes you need to obtain the prize from each day during the 12 days of Christmas are listed below. Note2: You do not need to obtain the previous days prize to redeem the current day. It's the time for giving and we are selecting 21 random players to obtain any of the following items below! There's a simple 2 step process to enter the event! [STEP 1]: Click the image above to view the Facebook post. [STEP 2]: Reply to the post with a picture of your character inside of Christmas Village! Note1: Please make sure to reply with your character name as well, in case we cannot see it from the image. Note2: Only replies with images posted between December 20th, 2018 12:00:00 AM - December 24th, 2018 11:59:59 PM will be entered in the raffle! Winter has arrived we're hosting another video contest! Record yourself participating in the multitude of activities in our server and share it with all to see! "Rage of Sage Online - Winter Cinematics"
For the "tags", you may add you own, however be sure to include "Rage of Sage Online, Tales of Pirates Private Server 2019, ROSO"
5. Showcase the server in a positive light, and include as much information as you see fit. 6. If you wish to make a satirical video, it needs to be apparent that it is indeed satirical. 7. (Optional) You may use our - server introduction - at the start of the video if you wish to do so. It is not required. 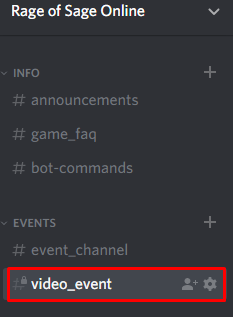 You must submit the video URL in our discord! The prize pool will be dependent based on how many videos are submitted! Have a fantastic Holiday! We wish you all the best!